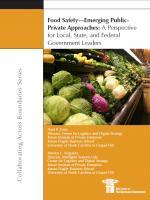 This use of new approaches to public-private partnerships is applicable to all government organizations, not just food safety agencies. A new stakeholder model in which the private sector acts as a partner. 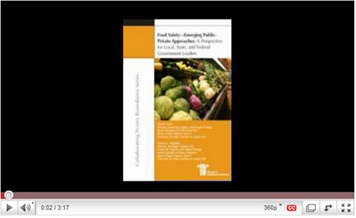 In food safety, the private sector is acting as partner in both maintaining a safe food supply and responding to food contamination events. An increased emphasis on risk-based allocation strategies. In food safety, a risk-based resource allocation will reduce disease incidence and reduce economic burden on private sector companies that have good safety records. Increased use of technology and information systems. In food safety, new food traceability techniques which utilize private sector information promises to speed up the recall process, thereby reducing the scale and scope of food contamination. Increased use of co-regulation strategies. In food safety, co-regulation assumes a variety of forms including setting standards, enforcement, and monitoring.